We work with our clients so they can benefit from our expertise and years of experience. "The biggest thing is that their integrity is above question and they’ve proven that to us over and over again on issue after issue: BNA helped us lease and manage an office building. They oversaw a construction project, and they partnered with us on a strip mall. They bring a personal touch to everything they do and they are absolutely committed to the community. On behalf of BNA, Bill has helped the YMCA, the [Special Children’s] Center and currently serves on the local board of directors for the YMCA and the Hudson Community Fund." 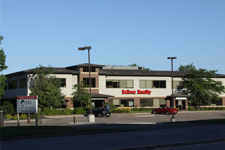 "BNA has assisted Hudson Hospital & Clinics in identifying property to both lease and purchase. Our experience with them has been excellent. Their strong customer service skills, familiarity with the community and their timeliness in notifying us when there is an opportunity that may be of interest to the Hospital is appreciated. Recently the Hospital purchased a property that had existing structures including a home that needed to be removed. We were fortunate in that Bill works with the volunteer fire department of Hudson and he made arrangements to use the house as a training site for the firefighters. This was a positive result for both the Hospital and firefighters. The firefighters received training to improve their skills as they serve the community and the house was removed so the Hospital can make full use of the property. " "Our relationship with BNA goes back more than a dozen years. As a general contractor, we’ve worked with them on everything from commercial tenant improvements to the construction of retail centers. They’re fantastic: they’re easy to work with; they do business on a handshake; they help with the community; they treat everyone well, including our employees; and, most of all, they really walk the talk."